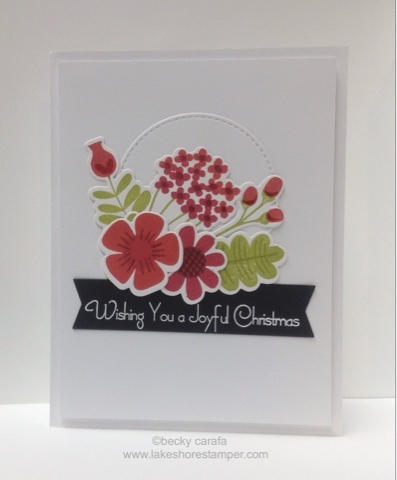 I used the beautiful Fall Florals for this Christmas card. Since the weather has been unseasonably warm, I made a warm weather Christmas card! Oh, this is beautiful! I love your wonderful take on the sketch!